Antique Treddle Table. 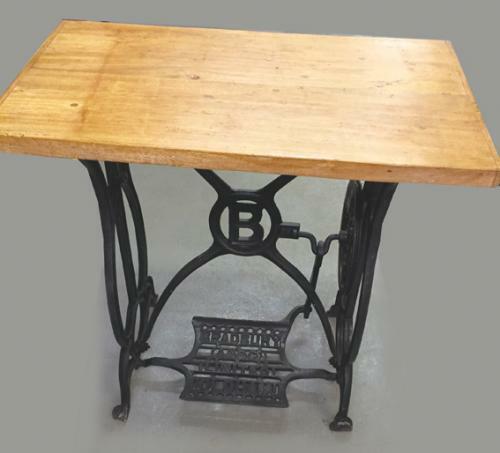 The cast iron sewing machine base is ornate, in good condition and marked 'BRADBURY & CO LTD OLDHAM'. The Bradbury Company 1852 -1924 was Britain & Europes First Sewing Machine Manufacturer.